National Bestseller: The Man in the Red Suit! Click above to read the latest about the book from The Telegram! The book has appeared at number seven on the Globe and Mail bestsellers list as of October 20 and will hopefully continue to rise, as Chapters Indigo is now going to be listing the book in some of its larger stores. Watch for Bruce on your TV soon as well – on November 21, he’ll be sitting with Heidi Petracek on CTV’s Canada AM live! To find a shop with copies near you, visit the Where To Buy It page and if you want to get your copy signed, check out the upcoming Signings & Sightings to see when you can meet Bruce! 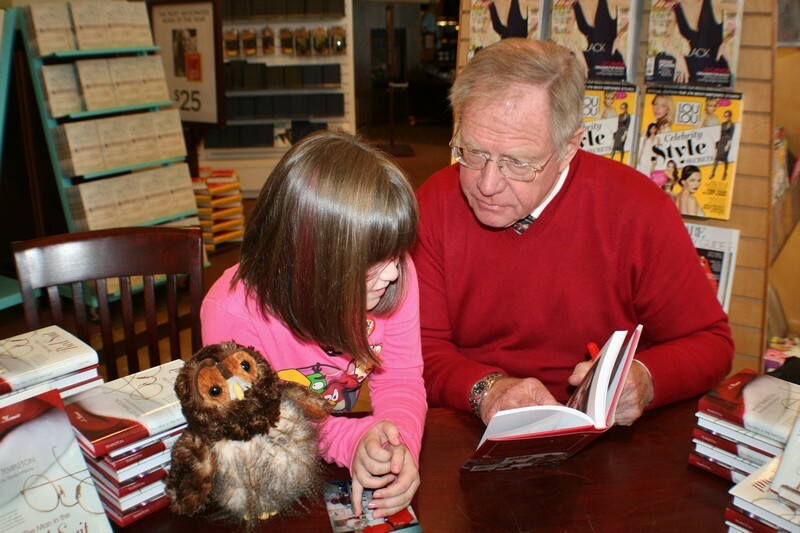 Charlotte’s proud parents Andrea and John very much looked forward to taking their daughter to Bruce Templeton’s recent signing for The Man in the Red Suit at Chapters on September 29 in St. John’s. Charlotte was one of the young children that Bruce helped to meet Santa back when she was too young to remember. Born in October 2002, she was one of the children who spent Christmas in the hospital that year, weighing only a few hundred grams after arriving prematurely. Andrea discovered The Man in the Red Suit after reading an article about it in The Telegram by Tara Bradbury, “I happened to be on Google News one day and a headline about a man in the red suit caught my eye under local Newfoundland and Labrador news,” she said. 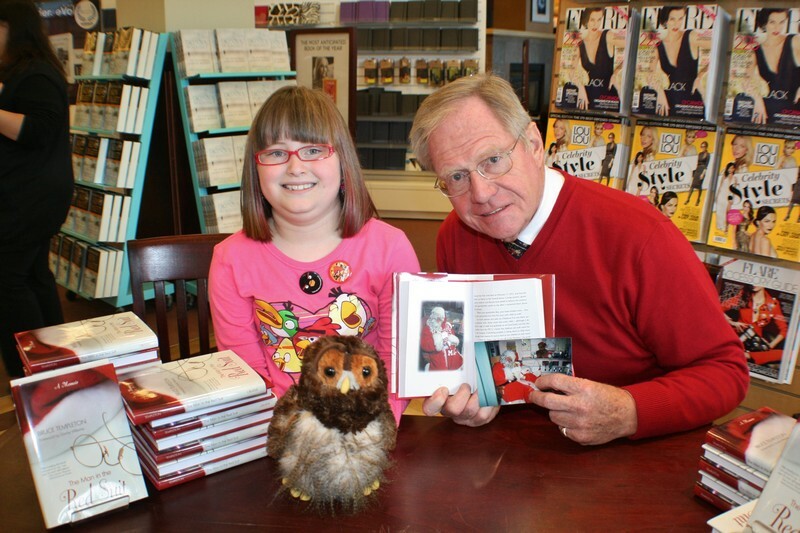 Bruce Templeton & Charlotte pose at Chapters with The Man in the Red Suit and a photo of her and Santa from 2002. Thanks to Andrea, John, and Charlotte for sharing their story with us.